Place the four granola bars on a parchment-lined baking sheet. Top with ice cream and a second granola bar. 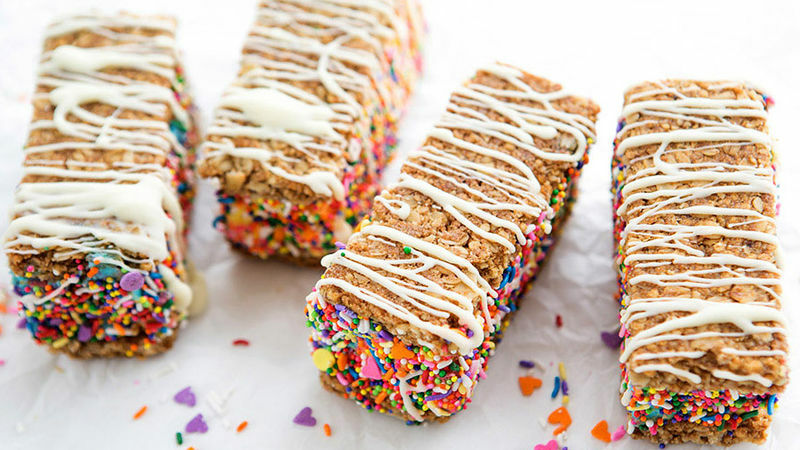 Dip the edges of each bar in sprinkles. Freeze overnight. Drizzle melted chocolate over ice cream bars. Freeze until ready to serve.